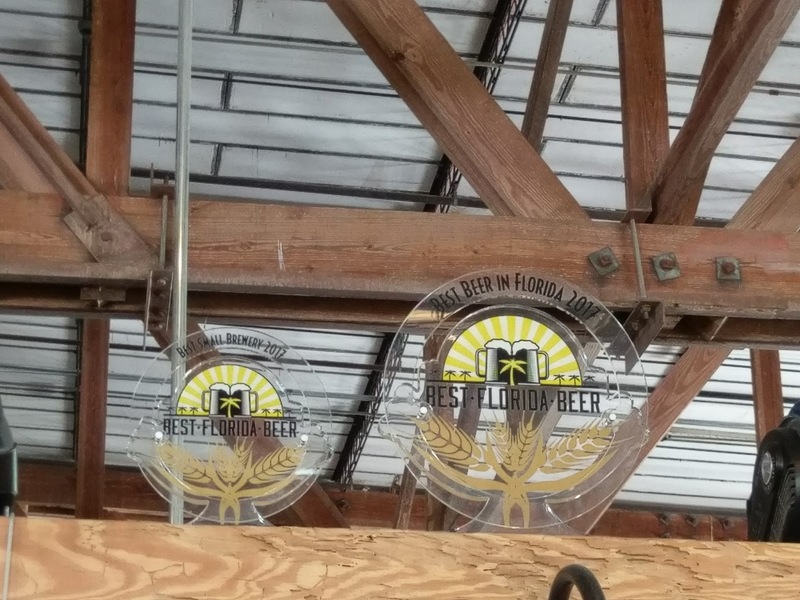 When a brewery picks up three medals at Best Florida Beer Championship, has one of those named Best Beer in Florida, and is then awarded the title of Best Small Brewery in the state, that's a reason to celebrate. 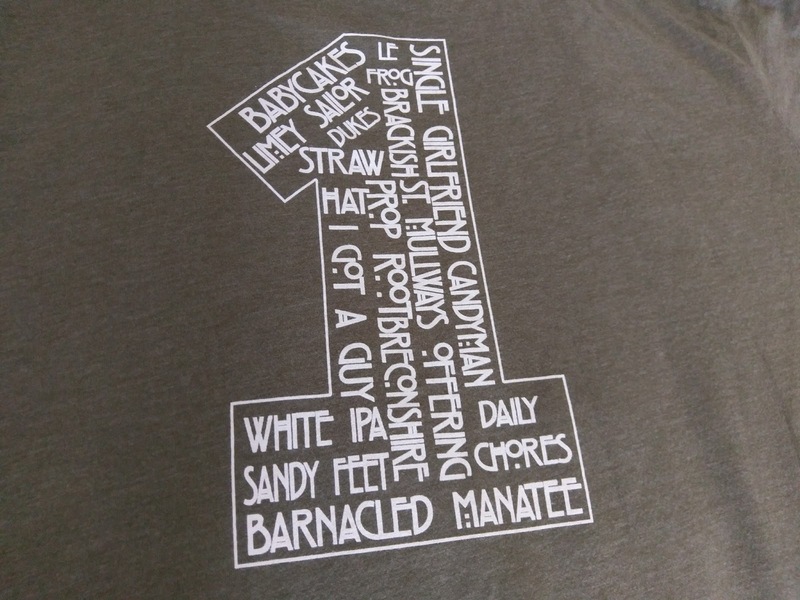 But, to have all that happen in your first year as an operating brewery? Yeah, that probably calls for a large-scale anniversary bash. 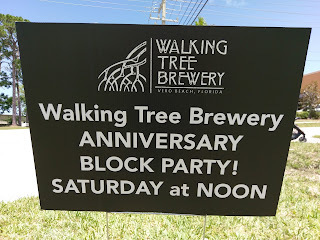 Walking Tree Brewery did just that as it threw one huge party in Vero Beach last Saturday, July 15 to mark its first anniversary. 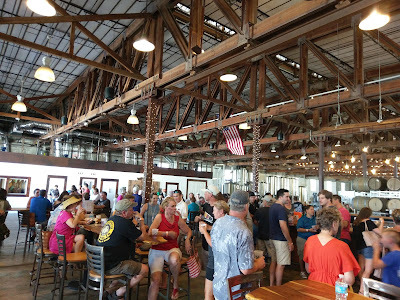 My first visit to the brewery came after this year's annual Florida Craft Brew and Wing Fest held in February. The brewery is housed in a former supply warehouse commissioned for the naval air station base that is now the Vero Beach airport, located closeby. Bluntly stated, the place is big: some 24,000 square feet, according to Danny Rey, Operations Manager. 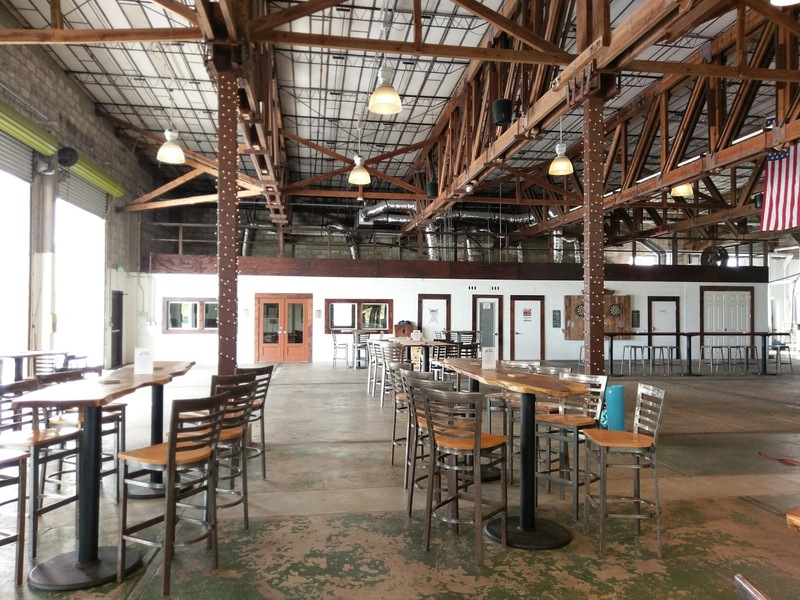 Inside is a spacious wide-open tap room with ample seating, an activity area with games, and an events room. Additional seating is found along the outdoor covered porch. 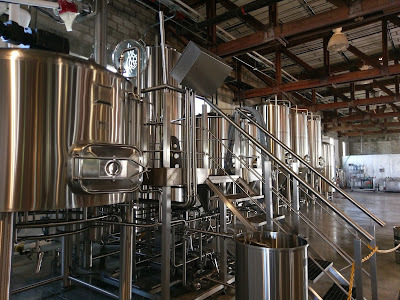 The brewhouse sits along the side and to the back of the building. The decor is woodsy, from the tables to the roof trusses. By the way, those trusses are original, adds Danny, and much of the timber from the original building was salvaged and repurposed for use throughout the tap room. 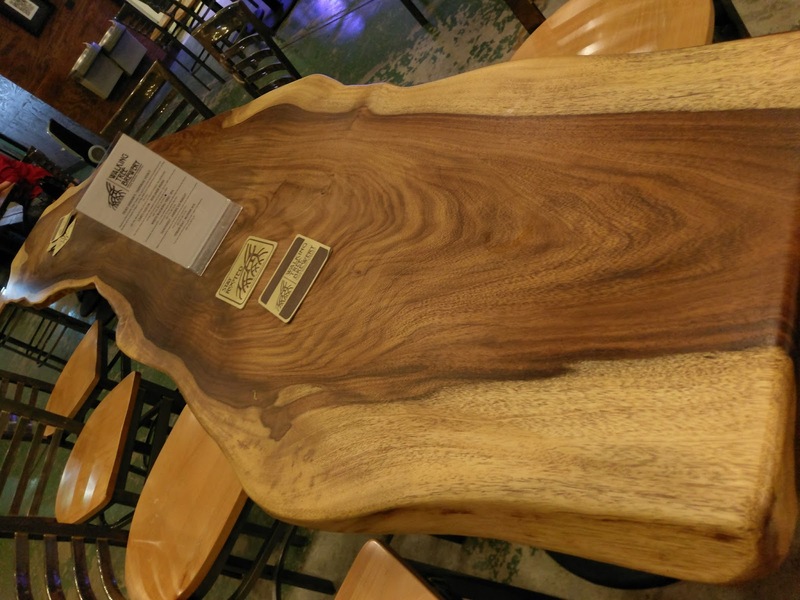 Turns out that co-owner and brewer Mike Malone is also a woodworker and wood hobbyist who also collects exotic wood species. 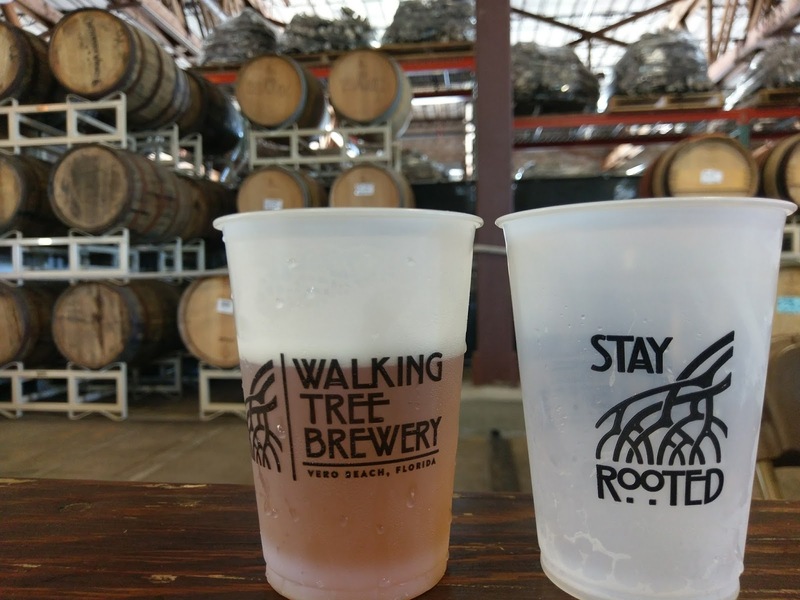 The name "Walking Tree" is a tribute to the local mangroves that the Seminole Indians called "trees that walk." 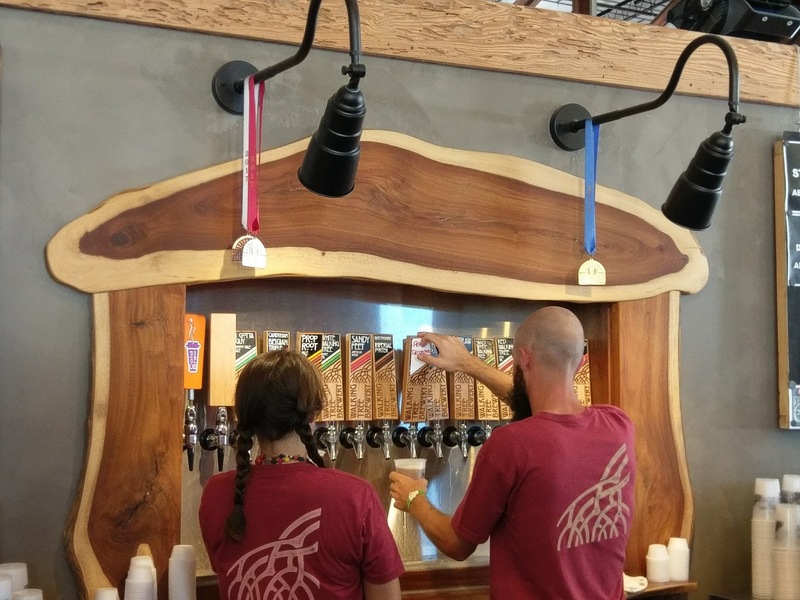 The woodsy theme appears throughout the brewery. At any given time, the bar offers between 12-16+ taps of house beer plus several guest beers. 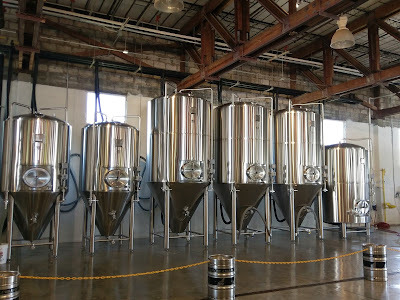 A wide range of beer styles are brewed here. 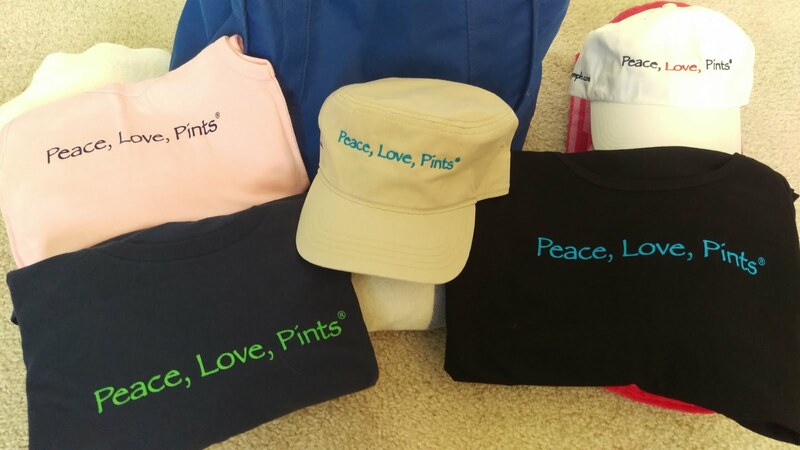 Core beers include Straw Hat Blonde Ale (4.3 ABV), Sandy Feet American Wheat (6.4 ABV), Prop Root English Pale Ale (5 ABV), and White Walking Tree IPA (7.1 ABV). 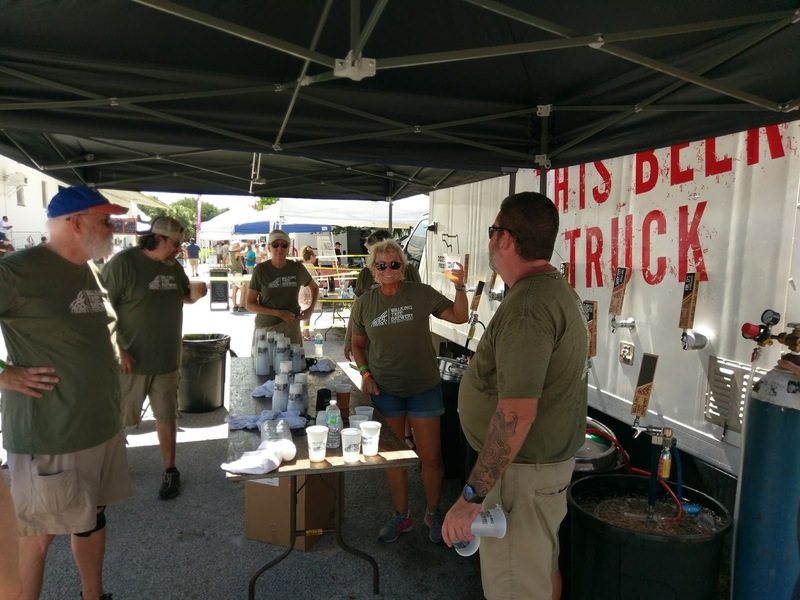 Seasonals, specialty brews and one-offs round out the beer selection, which might include Babycakes Oatmeal Stout, Brackish Brown Ale, and Barnacled Manatee Barleywine, among others. Taking flight the first time around, my selection of beers looked like this: Straw Hat Blonde Ale, Brackish Brown Ale (rear), Babycakes Oatmeal Stout, St. Mulway's Offering Nitro Scotch Ale, and Limey Sailor Berliner (front). 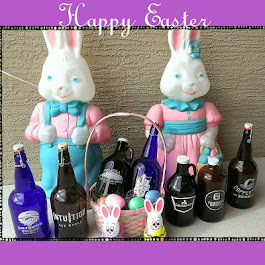 All solid beers. 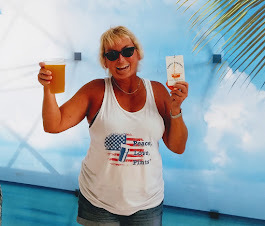 It's impossible to go wrong with the Straw Hat Blonde (or the above-mentioned Sandy Feet Wheat for that matter), with the easy-drinking, fresh "good ol' beer" flavors, great anytime. The brown ale is slightly nutty, while the Berliner was true to its name, with a tart fruitiness to go along with warm days. 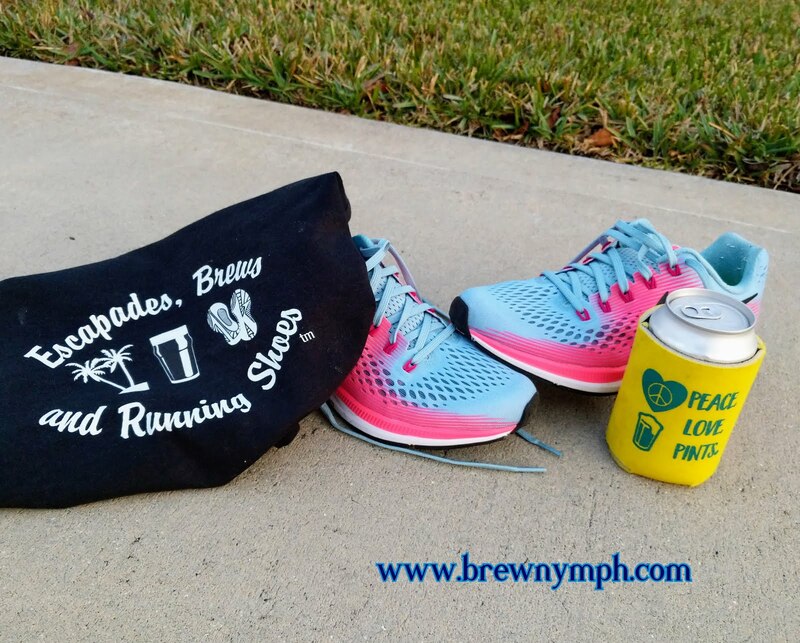 There's never a bad time for a stout, in this writer's opinion, and the chocolaty and roasty characters of the Babycakes Oatmeal Stout are a tastebud treat, even on a warm day. 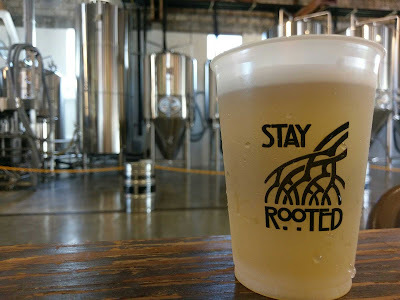 The Prop Root English Pale Ale (not pictured here), more malt-forward with a touch of bitterness, is a great alternative to a hoppier beer. 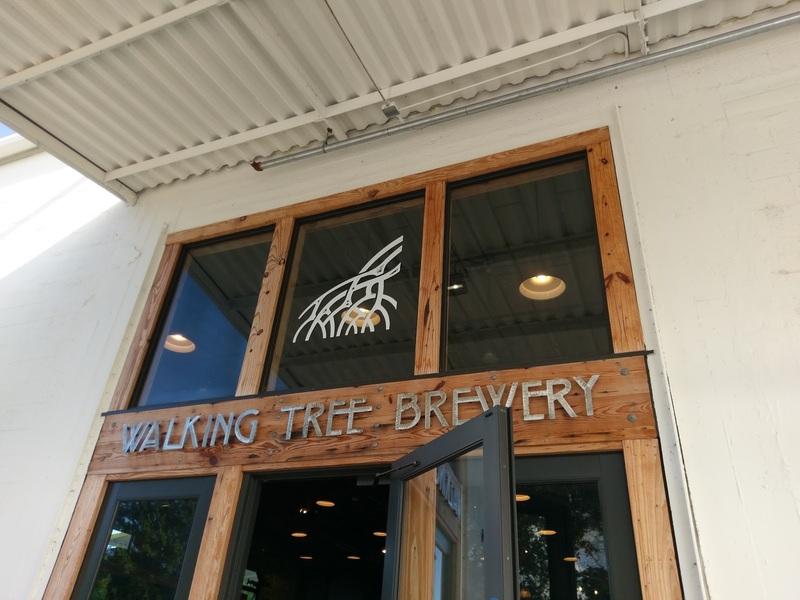 Of course, if the citrus, hop-forward beer is more your style, you'll find it in the White Walking Tree IPA. The brewery scored a few medals at Best Florida Beer, held this Spring in Tampa: Gold, for Barnacled Manatee Barleywine, Silver for Duke Snider's Imperial Stout, and Bronze for White Walking Tree IPA. But that wasn't all. The Barnacled Manatee was named the "Best Beer" overall, and the brewery brought back the "Best Small Brewery" award. 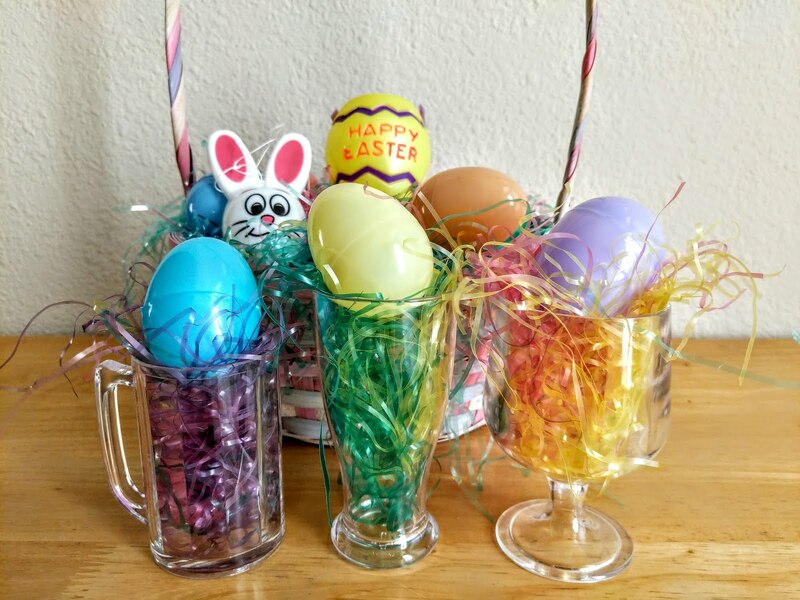 Big accomplishments in the first year! And that brings us to the big anniversary bash! 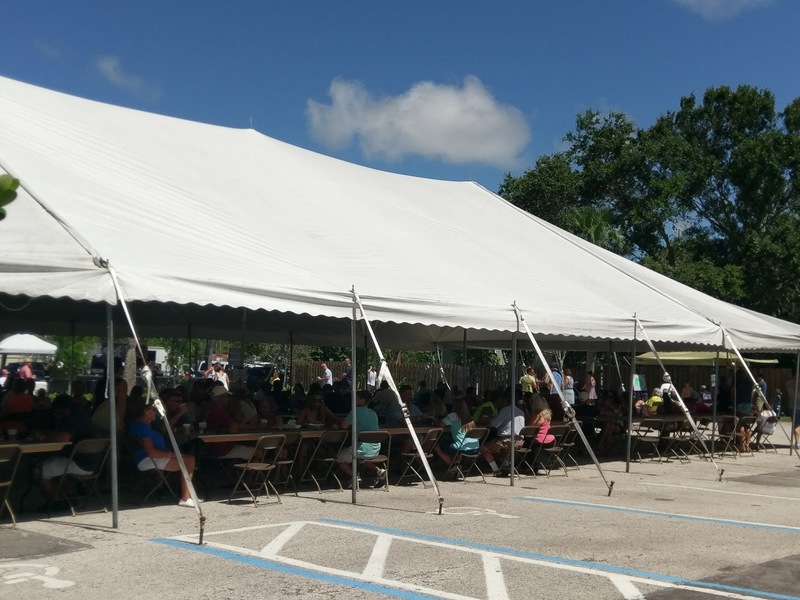 Large crowds were expected, and ... they showed up. Parking areas were set up across the street. Local police directed traffic, and signs let you know you were in the right place. 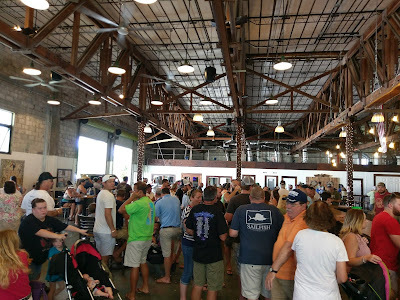 Music filled the air, and people streamed toward the brewery. 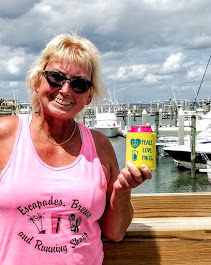 It may have been somewhat of a bad hair day with temperatures and humidity on the high side, but, hey, that's what beer is for! And, there was a lot of it. Inside, the bar poured around 16 different house beers,while the outside bar poured an additional 11. 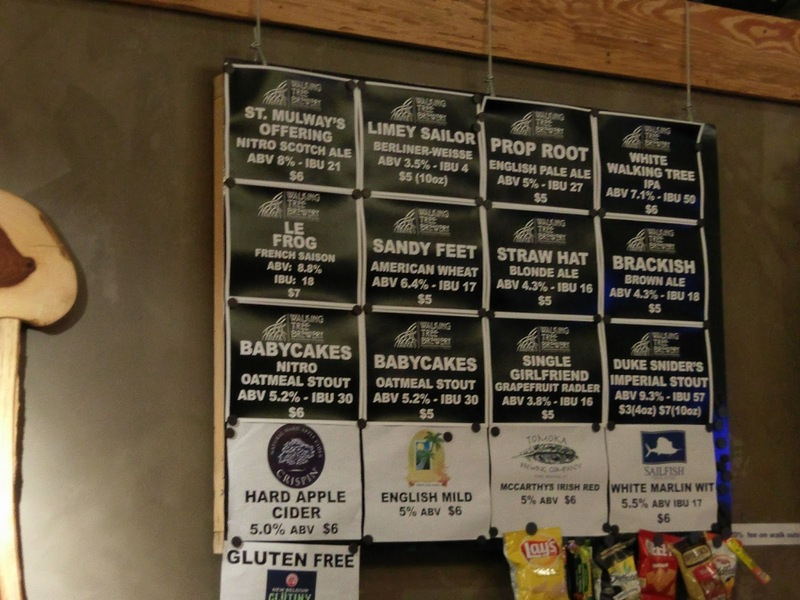 Whatever type of beer you were looking for, it was pretty much here: Belgian, fruit beers, porter, stout, oak-aged, IPA, lighter beers. A large tent covered rows of tables for sipping on some of those beers or having some food from one of the food trucks on site. This writer had a pretty awesome time pouring beer at the outside brewery truck, which included a few of the core beers mentioned above, in addition to some special releases such as Mr. D's Dortmunder (a malty, slightly sweet lager), I Got a Guy Hoppy Pale Ale, Daily Chores Saison, Sassy Flamingo tart cherry fruit beer, and the quite popular Single Girlfriend, a Grapefruit Blonde Ale. 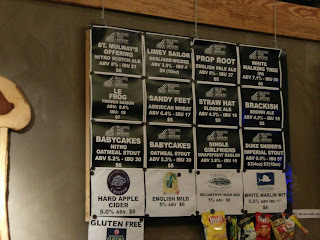 Yeah, there was a lot of beer here! (Maybe I said that already). 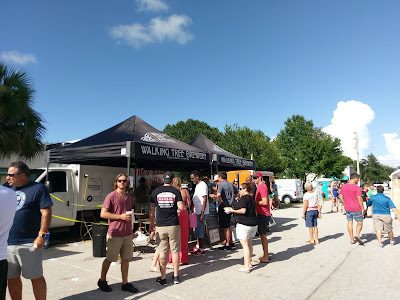 That brewery truck was a happening place, and I was pretty glad I was able to refresh early with a Straw Hat and Mr. D's. 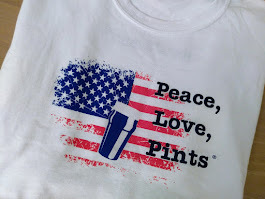 And, from where did all that beer come, you may ask? The 20-barrel brewhouse, backed by two 20-barrel fermenters, three 40-barrel fermenters, and a 40-barrel brite tank. The brewery currently distributes its beer on draft locally, with plans for expanded distribution and packaging in the future. 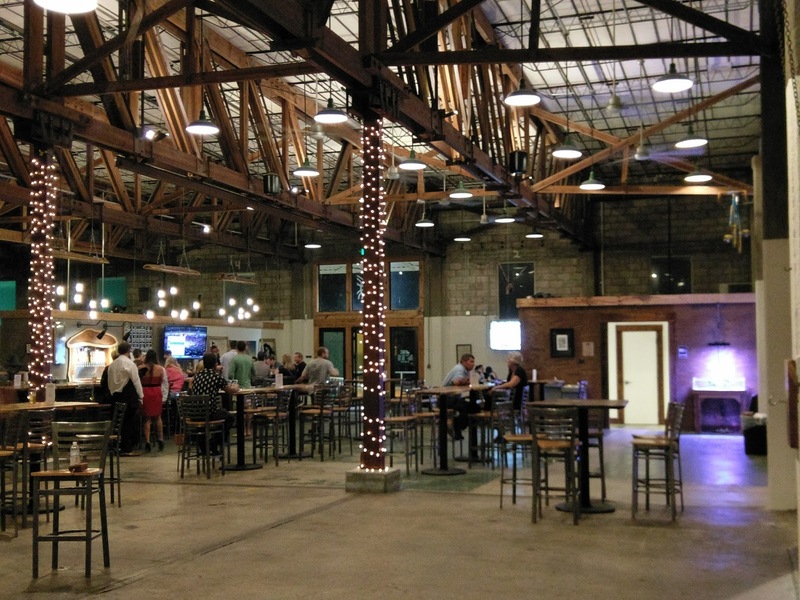 There's a lot to like about the place, from the on-point beers to the atmosphere of the tap room. When they're not throwing a major party, there's parking on site. 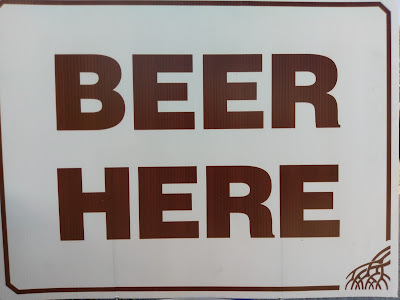 The tap room is open seven days a week. 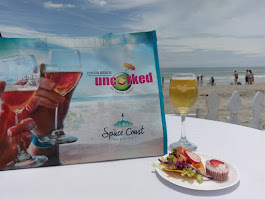 The events room is available for private functions, parties, charity events, and more. 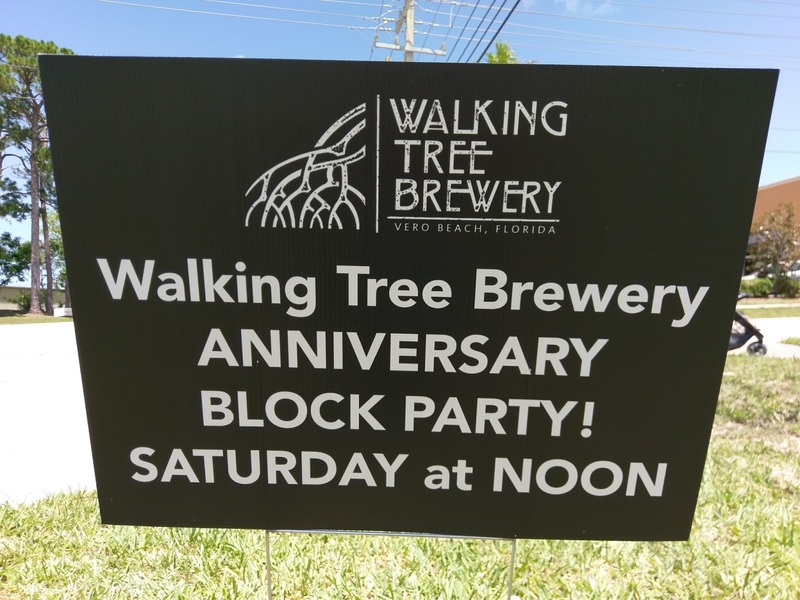 Walking Tree Brewery is located at 3209 Dodger Road, Vero Beach. 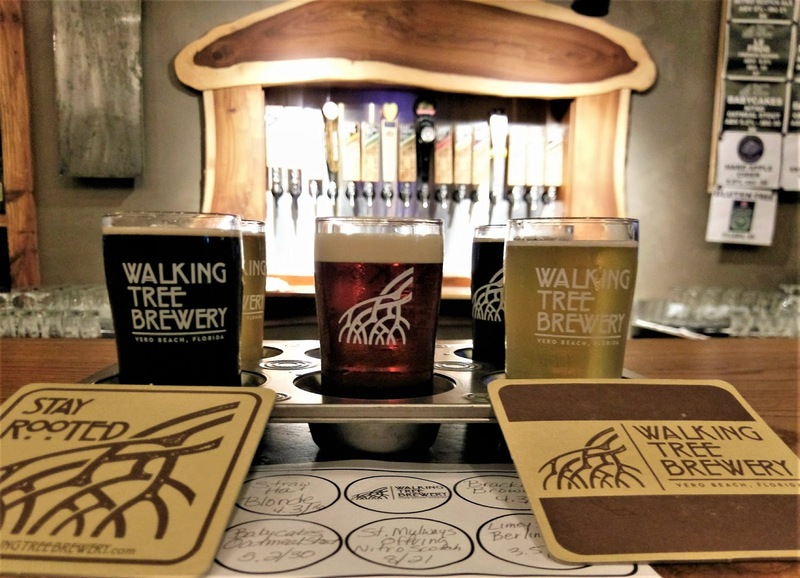 To say it's been a good first year for Walking Tree Brewery might be an understatement. Put this one on your beer trip itinerary. 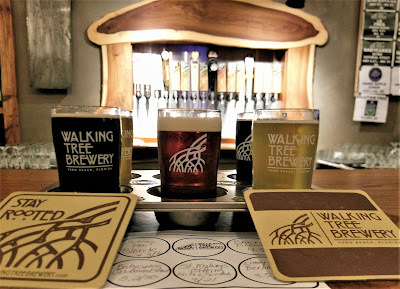 It was one fun party at Walking Tree Brewery, and I had a blast volunteering to pour beer. Looking forward to seeing these guys again at beerfests, and, of course, another on-site visit soon! 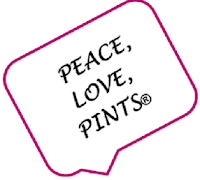 Thanks especially to Danny Rey and Brooke Malone for the background info and the volunteer opportunity!